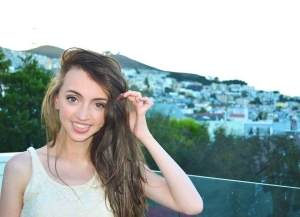 Lily Shouldice is a 20-year-old pre-nursing major at San Francisco State University. Ever since 1998, she has lived with Juvenile Rheumatoid Arthritis—an autoimmune disorder that causes inflammation and pain in her joints. Because of this disability, she is extremely passionate about spreading awareness for the 300,000 American children suffering from chronic Arthritis. In addition to being a full time college student, she juggles working at a day care and volunteering at various places such as Okizu, a camp for kids with cancer and their siblings. She also loves art, animals, singing, swimming, photography, and working with children. One day, she hopes to be a pediatric nurse practitioner, so she can care for children who are suffering with similar conditions that she has experienced.